Good review. Sounds like he has some simple but effective ideas. 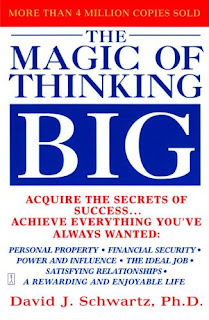 One of the best self-help books I have ever read ! Dr. Schwartz is a genius in analyzing psychological inhibitions faced by many us in achieving great success. The simple yet powerful analysis of negative behavioral traits and their cure is capable of uncovering one's core motivation. A practical approach to unleash our leadership capabilities !